A large congregation gathered last Friday night in Uxbridge. Nothing unusual about that you might think. After all it was the hottest day (22c) of the year thus far and you would assume people were out having a drink in this popular town centre. However this was not the usual congregation of people at a public house. No. This congregation was gathered in St Margaret’s Church, Uxbridge … and yet they don’t do Friday worship. People were not there to worship, but to put the spotlight on the prospective parliamentary candidates for the Uxbridge and South Ruislip constituency. Organised by the North Uxbridge Residents Association (NURA) in association with St Margaret’s Church and the Hillingdon Inter Faith Network (HIFN), the large gathering was no doubt swelled to a large extent by the attraction of seeing one of the biggest names in British politics, Mr Boris Johnson, Mayor of London, who was selected last year to contest this ward on behalf of the Conservative party. Proceedings got off to a lively and very dramatic when the chair of NURA and this event, Mr Paul Johnson (no relation to Boris I presume? ), decided that the Independent candidate Michael Doherty could not sit on the panel with the other candidates. He said that hustings rules preclude an Independent candidate from partaking in a panel with representatives of political parties. I’m not sure about that at all and Michael stood up, made a short speech announcing his removal from the panel and promptly stormed out of the church. People loudly demonstrated their upset, disapproval and sense of unfairness about this by giving Michael a round of applause. I must admit I had notice a lot of talk on the panelists table prior to the start, but assumed that was the candidates and chair simply discussing the format and proceedings to come. Little did I know the drama that was brewing. I share Michael’s deep sense of injustice. Speaking to him during the interval he informed me that he had lodged his application the day before and had been in regular contact with the chair re participating in this hustings. There are two ways of looking at this. One, he was never on the list of panelists in the promotion for this event so officially he was not booked or expected to speak. Second, if committed to being a candidate why did he leave it till the last minute to declare his nomination? Having organised hustings for the 2010 elections as well as this year’s I’m aware that all official candidates have a right to appear on any official hustings taking place, so if the organiser knew he was going to be a candidate by the time of the event they could have made allowance for his participation. Regardless, I just don’t think it should have waited till 20 minutes before the start to inform the candidate he wouldn’t be on the panel. I’m not entirely sure who was behind this have been given an indication of who was responsible. This was the second of three hustings for this area and the only one that Boris Johnson agreed to participate in. It was a long (2 hours), heated, passionate and lively hustings that covered a wide range of areas – religion and politics, immigration, housing, homelessness, poverty, Israel-Palestine, students, HS2 and airport expansion. I’m not going to cover everything in this review, suffice to say when the chair said he had 40 advanced questions and seemed set to ask them all I feared that the congregation were in for a long service and the 9pm finish of this 90 minute match up was in real danger of going into extra-time before the first question had even been asked. At the start all five candidates paid great respect to the retiring and highly respected former MP for the area, Sir John Randall, who has served the area as it’s MP for the last 18 years since being elected their MP way back in 1997. A fitting and relevant question to open the debate considering the venue. Whilst I may not be able to write a new book of Revelations about this, the question lead to some interesting revelations (no pun intended) and what at first appeared to be diversionary discussion about unelected representatives in the House of Lords. This was the one and only question of the night which had full panel agreement. All were quite certain that politics and religion should not mix. Boris disclosed that he used to go to enjoy going to prayers in the House of Commons. His view was that God should have a place in politics, in all areas of life in fact, but he would prefer to have a separation between the state and church and was therefore not in favour of the links between the Church of England and the House of Lords. That might well have offended the Revd. Andrew Sheard, Vicar of St Margaret, which is Church of England! Graham Lee, Green party, agreed with Boris on the separation of church and state in the Lords. I found that view interesting, for if you look up the history of the House of Lords it was established with religious leaders at the very forefront of the Lords!! Liberal Democrat candidate Mike Cox said he trained for 6 year to be a Roman Catholic Priest. Chris Summers, Labour, was agnostic but admired people who felt that they get a lot from their faith. He had sympathy too for the BA employee who couldn’t wear a cross at work and believes such decisions are ridiculous. I’m not sure that figure is correct and where it comes from, but I do know that his response struck a nerve as it drew the biggest round of applause of the night at this stage. Boris Johnson (Conservative) acknowledged that Jack made some good points, but said that you could see a net increase in migration under the Australian system. He admitted that the Government needed to control immigration and crackdown on welfare scroungers. There were around 105,000 (20%) immigrants working in the NHS who were indispensable to the UK. Labour policy under Tony Blair resulted in uncontrolled immigration. How can we help the people of the West Bank in the on-going Israel-Palestine conflict? Boris, Chris and Mike were in accord arguing for a two-state solution to the crisis. “The sooner Israel comes around to this view, the better,” said Boris. UKIP’s view was that the UK should stop involving itself in foreign missions. Missions they can barely afford to keep active in. How will you help students struggling to get by on low grants? A question was raised ostensibly about the maintenance grant students get which the questioner felt was insufficient to get by on. However whilst the panel had sympathy with that, they went off track to talk about tuition fees and the value of education. The main view was that tuition fees are here to stay and students have to take on a degree of responsibility for financing their own higher education. Graham Lee (Green party), said his party were committed to scrapping tuition fees. For them, the ticking time bomb was that of young people, saddled with tuition fee loan debts, choosing not to go into pension schemes when they start work until they’ve paid of their loan. Chris said that was a good point and used it to make the point of the great relevance and importance of young people voting in the general election. He noted that the Chancellor George Osborne has done a lot more for older people in recent budgets. Why? Because older people vote … Basically it’s more valuable politically to look after older voters. Graham, Chris and Jack were all opposed to HS2. The Greens would cut the losses on the project and scrap it altogether. Boris commented that Chris’s view was contrary to Labour party policy! 1. It must have a proper scheme. 2. Figure out the Euston development issue. 3. Establish a proper route. He said that his track record was good at affecting change with this project – getting the route to go underground via tunnels under parts of Ealing and Hillingdon. As Chair of Transport for London, he stated that he has the clout to get things moving. The Lib Dems are in favour of an expanded Heathrow airport. The Green party, Labour and UKIP were against a third runway at Heathrow. Chris said that a major problem was Hillingdon Council not talking to British Airports Authorities (BAA). He said the council needed to, in order to know what they’re doing and what their plans are. That was vital as the airport is a major employer for Hillingdon. It would have been interesting to see the expression of Councillor Ray Puddifoot, the Conservative Council Leader. Alas he was sitting right in front of me so I couldn’t tell. Jack said there should be a referendum in the borough to ascertain local views. Boris countered this and demonstrated that he had done his homework, saying there had already been a referendum and 70% of 100,000 residents polled said they were against both a third runway and any increase in flights at Heathrow. Ray nodded vigorously at this point. Boris continued saying, “a third runway would be a catastrophe for the area. It would generate huge pollution and he felt Heathrow wouldn’t stop at a third runway if they got the green light. Down the line would push for a fourth. He was still in favour or “Boris Island” on the Thames Estuary. There was no great consensus on this and there still seems no decision imminent anytime soon on this, which is a shame as a non-decision doesn’t equate to a constructive solution. Judging by the rounds of applause following each candidate’s closing pitch, Labour appear to have won this debate as they easily got the loudest round of applause, followed by the Mayor of London, Boris Johnson. If it’s true that UKIP are running second in the polls, this could make for an interesting three way battle for Uxbridge & South Ruislip in the coming weeks leading up the to the 7th May 2015 general election. I thought the night was quite lively and interesting. All made good contributions and valid contributions on many of the issues, giving listeners food for thought. There was broad consensus on certain issues e.g. keeping religion out of politics, wanting a two state solution for Israel-Palestine; being against stigmatisation of immigrants and misrepresentation of the situation re immigrants in this country; majority agreement that students have to fund their higher education via tuition fees and grants – that there was no more money to be found for this. Finishing at 9.50pm was too late for a hustings. Fewer questions and a smaller number of topics would have been preferable. I think the chair could have controlled the timings and audience a little better than he did, but overall he allowed things to flow quite naturally and everyone had sufficient time to make their points. The audience were very lively and demanding – shouting out when they couldn’t hear the speakers, asking people to sit/stand/speak up on occasion! If this is representative of the whole constituency the chosen candidate will have his work cut out keeping people happy! 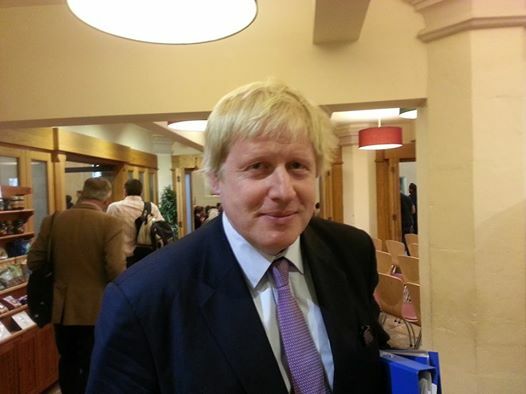 This entry was posted in Debates, Politics and tagged boris johnson, Chris Summers, graham lee, hifn, hillingdon inter faith network, John Randall, michael doherty, mike cox, north uxbridge residents association, nura, paul johnson, Uxbridge. Bookmark the permalink.